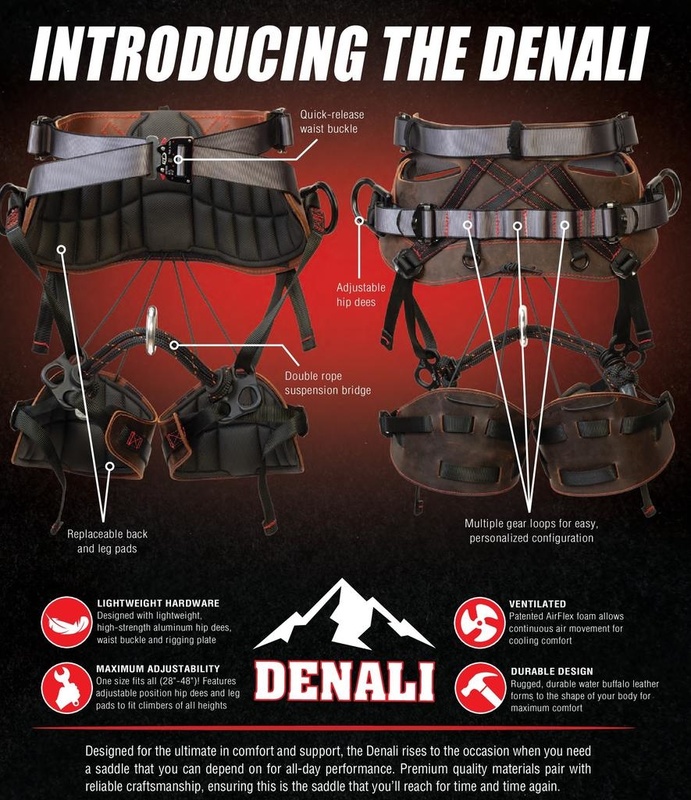 Leading the industry with a one-size-fits-all design, the Denali combines patented AirFlex technology and high-performing safety features for the ultimate climbing experience. 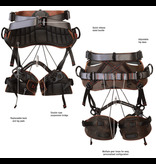 Featuring an adjustable waist (28"-48") and adjustable position hip dees and leg pads to fit climbers of all heights, one size comfortably fits all. Patented AirFlex foam allows continuous air movement for cooling comfort. 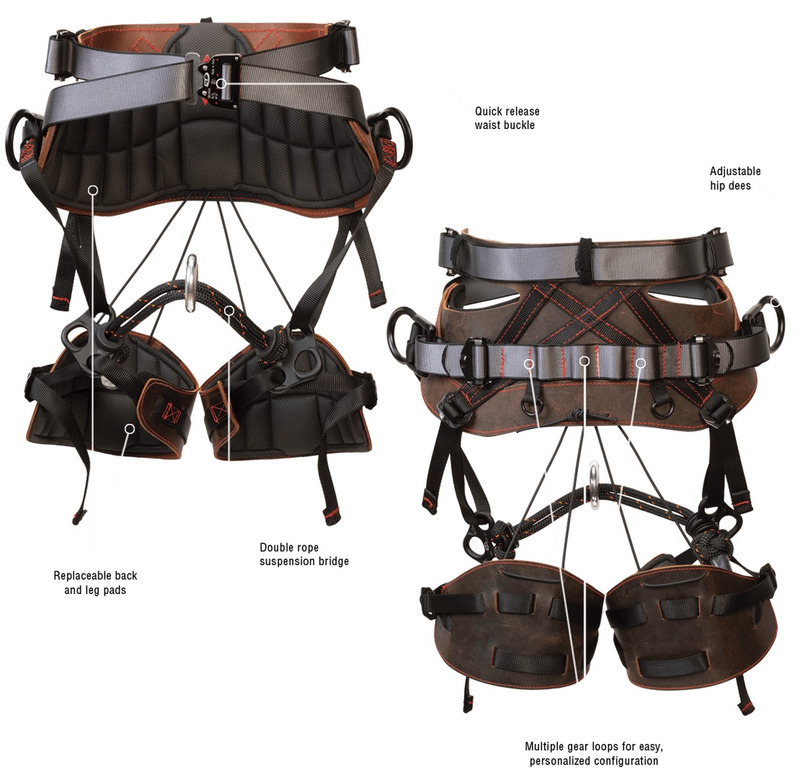 Lightweight, high-strength aluminum hip dees and rigging plates provide multiple attachment points on this climbing harness, giving added flexibility to arborists. Rugged, durable water buffalo leather forms to the shape of your body for maximum comfort. The double rope suspension bridge on this arborist saddle features a diamond knot at one end and a girth hitch on the other for replicability and security. The rope that constructs the double rope suspension bridge offers the perfect combination of durability and function. The white core within the black and orange suspension bridge makes wear and tear visible at a glance, allowing for additional wear inspection. Extra wide back pad extends further forward on hips for enhanced comfort and support. 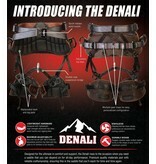 Climbing harness features replaceable back pads, leg pads and bridge. High-strength nylon webbing with multiple gear loops for easy, personalized configuration. Durable aluminum, quick-release waist buckle. Snap in with just one hand using the fixed position, angled side dee rings. This arborist saddle is handcrafted in the USA by the finest craftspeople who care about every last detail. Climbing harness is not intended to be used for fall arrest. Important: Only authorized replacement parts from Weaver Arborist should be used on this arborist saddle. The use of unauthorized replacement parts will void Weaver Arborist’s warranty.